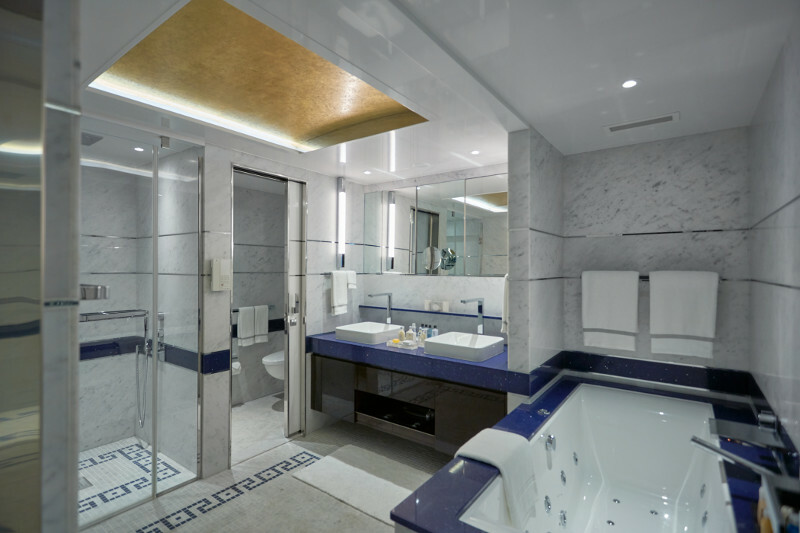 Is Seven Seas Explorer the most luxurious cruise ship afloat? Regent’s Seven Seas Explorer is billed as the most luxurious cruise ship afloat, but does the reality match the hype? John Honeywell joined her inaugural voyage to find out. Launched by a princess in the world’s most glamorous city, Seven Seas Explorer made quite a splash. Built at a cost of £340 million to carry 750 passengers and almost as many crew, this all-balcony vessel is billed as the ultimate in ocean-going luxury. But if Princess Charlene of Monaco had ventured aboard this floating palace, with its 48,000 square feet of marble, its multi-million-dollar art collection and $250,000 custom-made Steinway grand piano, would she have felt at home? I joined Explorer’s first shakedown cruise from Barcelona, and there was much to enjoy during the five-day voyage, as an international group of journalists, travel agents, and Regent employees became the guinea pigs for Explorer’s new crew – 75 per cent of them from other Regent ships and the remainder new to the company. I was not fortunate enough to be travelling in the 4,443sq ft Regent Suite (home of that piano). I was, however, given the opportunity to visit and admire the view – which is rather better than the captain gets from the bridge, two decks below. The suite has two bedrooms, one with a $90,000 mattress and a duvet stuffed with rare Norwegian eider down. Guests have the use of a limo and driver at each port, and they can summon unlimited Canyon Ranch treatments in their own private spa – which has a hot tub on the balcony, and a sauna. All of which helps to make the $10,000-a-night fare easier to swallow. During my cruise, the Regent Suite was occupied by Frank del Rio, boss of Regent’s parent company, Norwegian Cruise Line Holdings. He believes the fare is too cheap because it is selling too quickly – so if you’re in that market, book now before it disappears completely out of reach. Personally, I would prefer one of the Master Suites. At a mere 2,000sq ft or so they aren’t as cavernous, and pianists must make do with a measly baby grand, but the great advantage is that they’re at the stern, so the balconies are sheltered from the wind. Those poor souls in the Regent Suite might find theirs a little breezy when the ship is making 15 knots. Most of Explorer’s passenger accommodation comes in the form of Concierge Suites. While nowhere near as palatial, these are still lavish enough, with walk-in wardrobes and beds that pleasingly face the window. The balconies are generous, with ample room for a table, two lounge chairs, and a sunbed. It’s the perfect spot for room-service breakfast (shame the omelettes brought with ours would have made serviceable sandals for a shore day). Apart from a lacklustre breakfast buffet, the rest of the food goes a long way towards justifying that ‘most luxurious’ tag. I could have feasted on foie gras cooked a different way each night, and there were caviar and lobster at every turn. The Verandah restaurant is light and airy, with floor-to-ceiling windows and a spacious open-air terrace. The Compass Rose main dining room has a lofty ceiling, with hand-blown azure-blue lighting as its centrepiece, while the six central columns are clad with mother-of-pearl, and the plates are by Versace. Avert your eyes if you like understatement: no expense has been spared here, and they want you to know it. There’s a daily-changing menu, an always-available a la carte section, and a list of fish, steaks and other meats that can be cooked to order and served with almost any sauce imaginable. For those passengers worried about expanding waistlines, there’s a daily choice of lighter dishes suggested by spa operators Canyon Ranch. The entrance to French restaurant Chartreuse is supposed to be evocative of a brasserie in a rainy Paris street, and the Prime 7 steakhouse next door is modelled on a gentlemen’s club in London’s St James’s, with a Picasso and a Chagall hanging on the walls of its pre-dinner bar. Between the two restaurants is a private dining room so exclusive that it doesn’t even show up on the ship’s deck plans. Marble appointments accent the bath, featuring a tub or walk-in shower. whose entrance is guarded by a three-ton artwork inspired by a Tibetan prayer wheel. It’s so heavy that the ship’s floor had to be reinforced. Guests walk down into the restaurant (just as in the adjacent Canyon Ranch spa, the floor has been lowered by pinching space from the mooring deck beneath). And for serious foodies, the ship also carries Regent’s first Culinary Arts Centre, offering $69-a-time cookery classes. The central pool, flanked by two whirlpool baths, is surrounded by two levels of comfortable sunloungers, with a substantial number offering shade when the mid-afternoon sun gets too hot. There’s also an infinity pool tucked away astern of the spa. In another neat touch, smokers are accommodated in a goldfish-bowl section of deck which prevents their fumes from inconveniencing other passengers. There’s also a Connoisseur Club for smokers on Deck 11. Mini-golf, shuffleboard, paddle tennis and bocce ball are on hand for the (slightly) more energetic, while showtime in the two-deck theatre includes steamy dance revues produced in collaboration with Burn The Floor, already a hit on sister brand Norwegian Cruise Line. There might not be water parks and kids’ clubs packed with Playstations, but Explorer is not a child-free zone. The younger members of the family will be taken care of as attentively as their grandparents (who are probably paying the bill). All told, there’s little that has not been thought about in the quest to be the best. Have they succeeded? You can’t fault the effort but the result is a matter of taste. If bling is your thing, you won’t be disappointed. WHO IS THE MOST LUXURIOUS OF THEM ALL? Regent’s main competitors at the ultra-luxury end of the market are Crystal, Hapag-Lloyd, Seabourn, and Silversea. Each of them could justifiably lay claim to the ‘most luxurious’ title. Crystal’s current ships are older but larger; their Avenue Saloon is a more intimate bar than Regent’s Explorer and Meridian lounges, and there’s a cinema among the entertainment venues. Crystal’s biggest asset is its attentive crew, for whom nothing is too much trouble. The line’s new ships promise more space and crew per guest than Explorer, but it will be a few years before they enter service. Hapag-Lloyd’s Europa 2 gets top rating from the Berlitz Guide and can boast an art collection that includes some Damien Hirst works. The breakfast buffet selection in the Yacht Club has probably five times as much choice as Explorer’s Verandah, but some will find the feel of the ship rather cold and antiseptic. 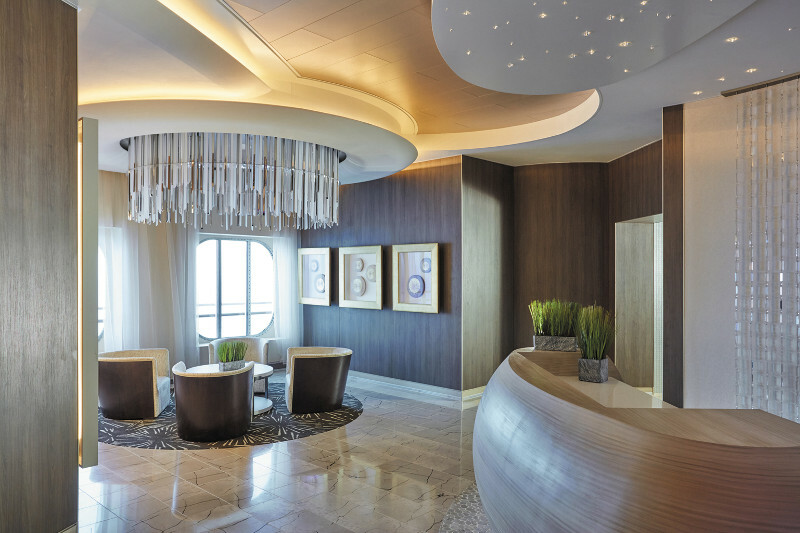 The interior design of Seabourn’s ships is understated in comparison to the glitz and bling of Explorer, and the atmosphere on board is more relaxing as a result. 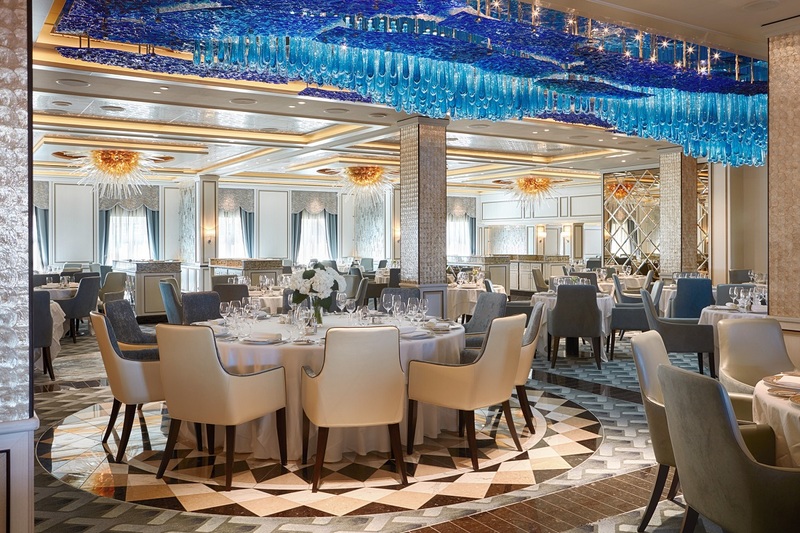 Silversea, whose outsized chairman Manfredi Lefebvre d’Ovidio lives in Monaco and was a guest at Explorer’s christening, can promise speciality restaurants such as La Champagne, with menus created by chefs from the Relais & Chateau group. 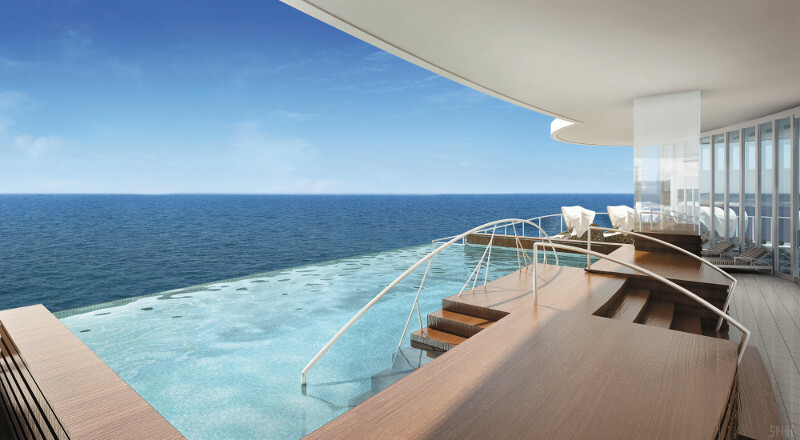 Silver Muse, arriving next April, will raise the bar. Regent stands alone when it comes to services included, and no competitor can match its combination of flights to the ship, excursions, gratuities, drinks, Wi-Fi and speciality restaurants – all part of the basic fare. 10-night Monarchs & Royals cruise, round-trip from Barcelona, departing 11 May 2017 and visiting Valencia, Palma de Mallorca, Valletta, Taormina, Gaeta, Portofino, Monte Carlo and Marseilles: Veranda Suite £5,049pp, Superior Suite £5,449pp, Concierge Suite £5,779pp, Penthouse Suite £7,979pp, Explorer Suite £10,809pp, Master Suite £12,989pp, Regent Suite £27,509pp. Penthouse Suites and upwards include free business-class air travel.